In research that promises to extend Moore’s law by several generations, the smallest wires ever developed in silicon — just one phosphorus atom tall and four atoms wide — have been shown to have the same current-carrying capability as copper wires. Experiments and atom-by-atom supercomputer models of the wires have found that the wires maintain low resistance despite being more than 20 times thinner than conventional copper wires in microprocessors. Previous research had found that at widths less than 10 nm, the resistivity of silicon nanowires increased exponentially. Ohm’s Law (V = IR) — in which the current through a conductor is directly proportional to potential difference (voltage) — is linear. 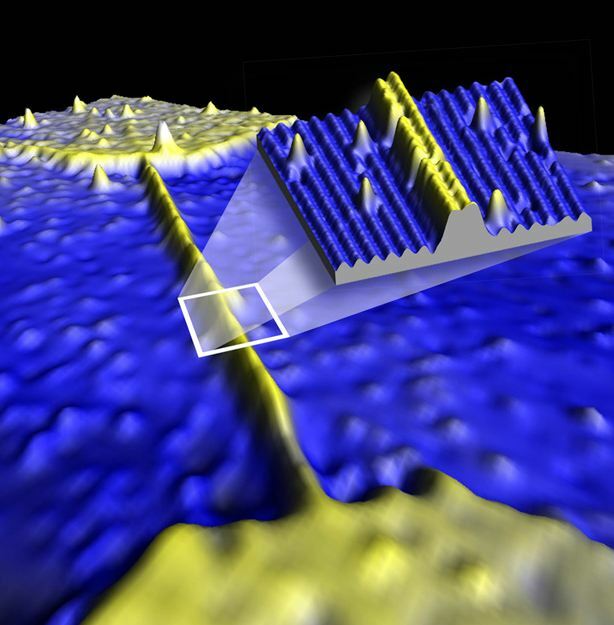 For engineers it could provide a roadmap to future nanoscale computational devices. The theory shows that a single dense row of phosphorus atoms embedded in silicon will be the ultimate limit of downscaling. For computer scientists, it places donor-atom-based silicon quantum computing closer to realization. For physicists, the results show that Ohm’s Law continues to apply all the way down to an atomic-scale wire. The innovation of the Australian group was to build the circuits up atom by atom, instead of the current method of building microprocessors, in which material is stripped away, says Gerhard Klimeck, a Purdue professor of electrical and computer engineering and director of the Network for Computational Nanotechnology. One goal of the research is to develop future quantum computers in which single atoms are used for the computation, says Michelle Simmons, director of the Centre of Excellence for Quantum Computation and Communication Technology at the University of New South Wales and the project’s principal investigator. “For the first time, this demonstrates the possibility that densely doping wire is a viable alternative for the next-genenation, ultra-scale metallic interconnect in silicon chips,” says Hoon Ryu, a senior researcher with the Korea Institute of Science and Technology’s Supercomputing Center.